Set in 1779 Vienna, Theresa is the daughter of a respected violinist under renowned composer Haydn. On Christmas Eve the family is shocked to find their much loved husband and father had been found dead, with a strange medallion around his neck and missing his prized violin. Theresa, the sole able member of the family, begins to gather clues surrounding her father’s untimely death and discovers a world she never knew existed. Music, both cultured Viennese and Hungarian, and that of the feared and hated Gypsies are explored in this young adult historical novel. 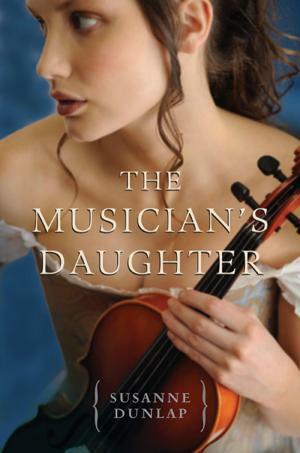 Theresa is a capable violist, who wants to explore her musical and literary world rather than marry–but when faced with the reality of the dire straits in which her father’s death left the family, she knew she had no choice but to beg her influential uncle for the dowry he’d promised on her birth. Upon her initial introduction into his society she began to piece together the clues that led to the answers she’d so desired. As it is geared toward young adults, this is a quick and simplistic read. One of the main reasons I purchased it is the rare era and setting among historical novels–in Vienna between the American Revolution and the coming French Revolution, when the rights of all men were being tested. The fact that the Gypsy people are meshed into the intrigue, as well as Austrian and Hungarian nobles, so interested me that I couldn’t pass it up. The musical details are also enchanting–especially for a novice such as myself. I enjoyed learning about violas, violins, cellos and the writing of musical notes. While perhaps not entirely fathomable, the tone of the era and historical setting is both accurate and spellbinding.